The never-ending, Kochadaiiyaan controversy is still haunting the Rajinikanth family. 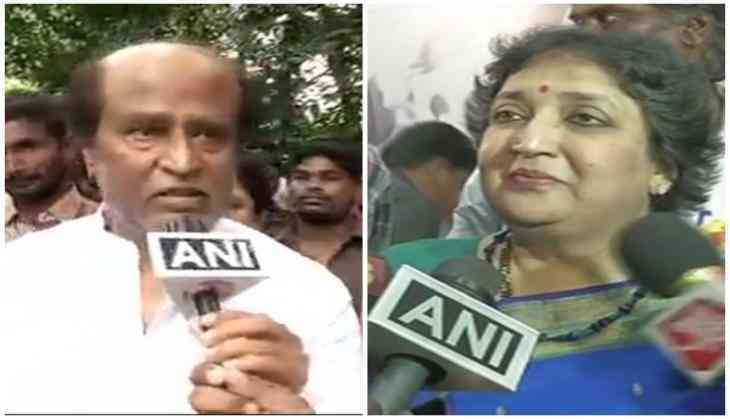 On Tuesday, the Supreme Court issued a directive asking Thalaiva's wife Latha Rajinikanth to pay Rs 6.20 crores. The apex court has given a deadline of twelve weeks, within which Latha is bound to pay Rs 6.20 crores to the Ad bureau co. The case pertains to selling rights of the movie Kochadaiiyaan. The tussle between Ad Bureau, Media One Global Entertainment and Latha Rajinikanth, which started before the year 2016. Ad Bureau filed a petition alleging that they were brought on board to help with the post-production work of Kochadaiiyaan and loaned an amount of Rs. 10 crores to complete the film. But in the end, Media One sold the Tamil Nadu distribution rights to Eros International without consulting Ad Bureau. On July 8, 2016, the Supreme Court of India issued a notice to Latha Rajinikanth on a plea by Ad Bureau Advertising Pvt Ltd over the selling rights of the historical fiction epic released in 2014. The recent SC verdict is seen as a massive setback for Rajnikanth, as the judgement came when Rajnikanth has already announced his entry into Tamil Nadu politics. The actor is likely to bear the possible repercussions from this judgement, as it will negatively impact his public image.